Physicians Fitness is a unique brand that prides itself for Rethinking Exercise! to help folks to Move Better… Feel Better… and Live Better. I recently sat down with two of Physicians Fitness’ Certified Muscle System Specialists – Jessica Cahen and Charlie Rowe – and asked them some questions about the business, its motto, and what makes it so great. To learn more about Jessica and Charlie head to the “Who We Are” tab at www.physiciansfitness.com. Q: In your own words what is Physicians Fitness? Physicians Fitness is a small business in the Columbus area dedicated to helping people move better, feel better, and live better. There are plenty of people walking around complaining about musculoskeletal pain. These same people also want to pursue exercise and fitness. There are also plenty of people with muscle aches and pains that have tried other interventions but haven’t gotten the relief they were looking for. Our role as Muscle System Specialists is to see where someone has issues moving and controlling their body. A goal ultimately is to help manage someone’s muscular health throughout their lifespan. Q: How long have you been with Physicians Fitness? 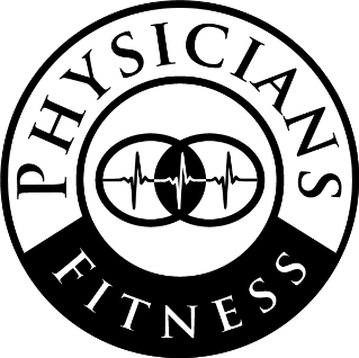 Four years of my 20-year career in the health and exercise industry have been spent with Physicians Fitness. I wish I’d been here the entire 20 years! My clients and I are thrilled about the problem-solving capabilities I’ve gained since becoming a Certified Muscle System Specialist™ at Physicians Fitness. I have been with Physicians Fitness for 11 years. Q: What age range do your clients consist of? While 40-75 is the age range that makes up the majority of my clients, anyone who has a muscle system could benefit from the work we do at Physicians Fitness! I occasionally have “Muscle Meetings” with my 7-year-old daughter after sports practices to keep her muscle system in optimal condition. I have worked with clients as young as 10 years old and as old as early 80’s. Q: What is the number one mistake you see when people continue to exercise while in pain? While exercise has the potential to produce very powerful benefits for your muscle system and your overall health, it needs to be the right exercise for your unique body, your unique history, and your unique circumstances. Understanding the needs of your muscle system—and where it requires improvements in its control capabilities—is essential to managing exercise through injury and pain. You need to make sure the exercise you’re doing is helping you, not hurting you! That’s the role of the Muscle System Specialist™. Unfortunately, a lot of people by into the mantra “no pain, no gain” when they exercise. If that is pain in their muscles while doing an exercise I can be ok with that but if it is pain in the joint(s) and gets worse as they are doing an exercise or during an exercise session that can be a big mistake and can have the potential to make their aches and pains to be more chronic. Q: Why is it so bad to continue to exercise through pain? It’s not, necessarily. Many individuals have been “cleared” by their doctor to exercise even in the face of continued muscle or joint pain that their doc hasn’t been able to help. In some cases, the stimulus exercise provides to the nervous system improves the quality of information flow throughout the system, improving how a person feels (see this article on Information Set Theory to dig deeper on this topic). The key is to understand how any specific exercise or stress on the system affects the quality of information in your nervous system. That’s the role of a Muscle System Specialist™– we provide a means of interacting with your muscle system to understand how any exercise or daily activity (such as desk sitting, standing for long periods of time, bending down to do gardening, etc.) affects the quality of information and control in your muscle system. This method of continually assessing your body’s unique “information set” helps us build a truly customized exercise routine for you that can keep you exercising while knowing your plan is safe, beneficial, and as unique as you are! Pain is the body’s way of saying that there is something wrong. If you are exercising and the pain gets worse, you have the potential to stir up more inflammation and the potential to get injured. Q: When a client comes in for the first time what is the process you go through to identify the pain? Muscle System Specialists don’t treat pain. Pain is an elusive concept; even doctors whose job it is to “treat pain” aren’t always successful. What makes it so difficult is the subjective nature of pain. Pain isn’t a “thing” we can remove or fix; and even though you might be able to point to your knee and report “I feel pain here”, it doesn’t mean that’s where the pain is. Pain is a conclusion of the brain, a product of all the information flowing through your nervous system at any given moment (if you haven’t checked out our article on Information Set Theory, you can find it here). Information Set Theory is a principle we leverage heavily at Physicians Fitness: we don’t chase pain, but instead we locate the areas throughout your muscle system with low-quality control in need of higher-quality information. Improved quality of information and control leads to improved quality of the brain’s conclusion about the state of your body. Therefore, oftentimes when we improve the quality of information and control in your system, we see an improvement in the quality of sensation, meaning when our clients move better, they feel better! We don’t work with pain directly. Pain unfortunately isn’t an objective thing that can be measured. It is subjective. We work indirectly with pain via working directly with the muscular system. Our job is to find out what someone can’t do with their muscular system and give that back to them. Framed differently, identify where someone has vulnerabilities moving and controlling their muscles and joints and eliminate them. Q: PF’s mission is to “Rethink Exercise!” with a motto of “Move Better… Feel Better… Live Better!” – how do you ensure that your work lives up to this motto? Thinking is the one dominant characteristic of the Certified Muscle System Specialist™ approach that sets us apart from other approaches to exercise and problem-solving such as physical therapy, traditional personal training, massage therapy, and chiropractic. 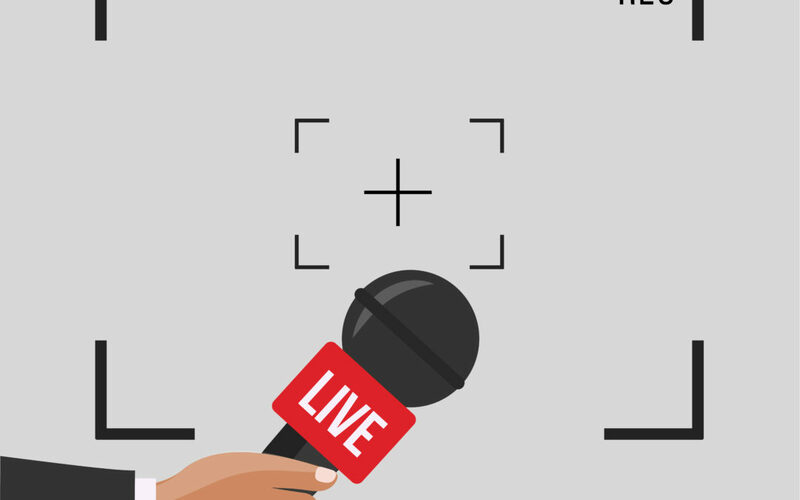 We take a novel approach to how we think about your body and how it’s moving and feeling: see this article on the concept of Systematicity for a look into our thought process. Our philosophy of “Rethinking exercise” is very powerful; so powerful, in fact, that we teach courses for exercise practitioners throughout the North America and Europe on how to “Rethink Exercise”! We approach “rethinking exercise” not only through our unique philosophy of the body, but also in our execution of exercise prescription to address our clients’ concerns. Our practitioners’ knowledge of anatomy, physiology, and the Nervous System truly sets us apart from other exercise professionals in the industry. The role of the Muscle System in human health is much more significant than most people (and even most exercise professionals!) realize; great care and accuracy is required in their training to ensure muscles are able to produce high-quality movement for you under any circumstances required of it (termed “variability”). Certified Muscle System Specialists™ use a unique set of tools to assess the ever-changing needs of your Muscle System and use a sophisticated, highly-targeted method of prescribing the exercise needed to meet the needs of your system. Throughout our relationships with clients, our main focus is on their fundamental objective—the thing in life they want to be able to do so they can enjoy life to the fullest. Whether it be exercising without pain, keeping up with an active family, getting up and down off the ground without struggle, or anything else— our job is to keep you moving better so you feel better and live better, even as your life evolves and your goals change. The Physicians Fitness team is here to support the health of your muscle system throughout your life! Exercise has a reputation you do for weight loss, aesthetics, and sports performance. Exercise can be much more powerful than we give it credit for. When someone doesn’t move very well, they typically don’t feel very well. We are passionate about not only finding where someone has issues with movement and controlling their body but teaching them self-efficacy where they can do reinforcement exercises at home or at a gym. Now we are empowering the client. Q: Lastly, what makes Physicians Fitness different from all other health providers trying to help a wide range of people move and live their best life? What makes Physicians Fitness different from the other interventions and health providers helping people move and live their best life is the thought process. We don’t chase pain around like other providers do. A lot of providers focus on local pain, local problem, and so all intervention will be local. In some cases, this in fact does work but more times than not it doesn’t. We stay focused on where you have issues moving and controlling your body. As someone moves better, they feel better, and ultimately live better.